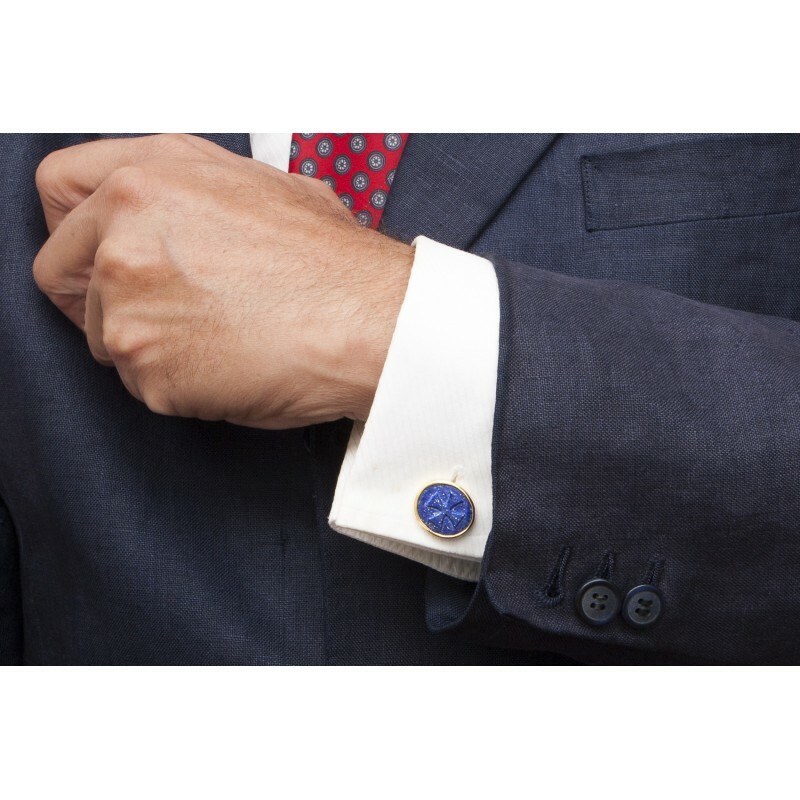 These lapis Templar Cross Cufflinks are carved by hand. They come with traditional with chain and baton attachments. 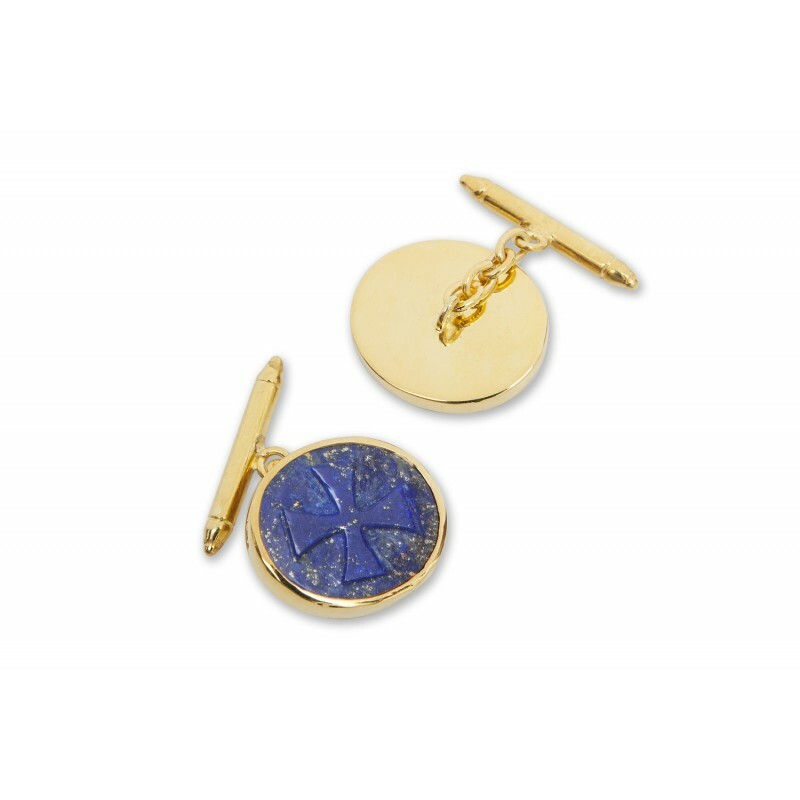 Introducing our new range baton and chain top quality Heraldic lapis cufflinks. These feature Templar Crosses carved by hand from gemuine Lapis Lazuli. 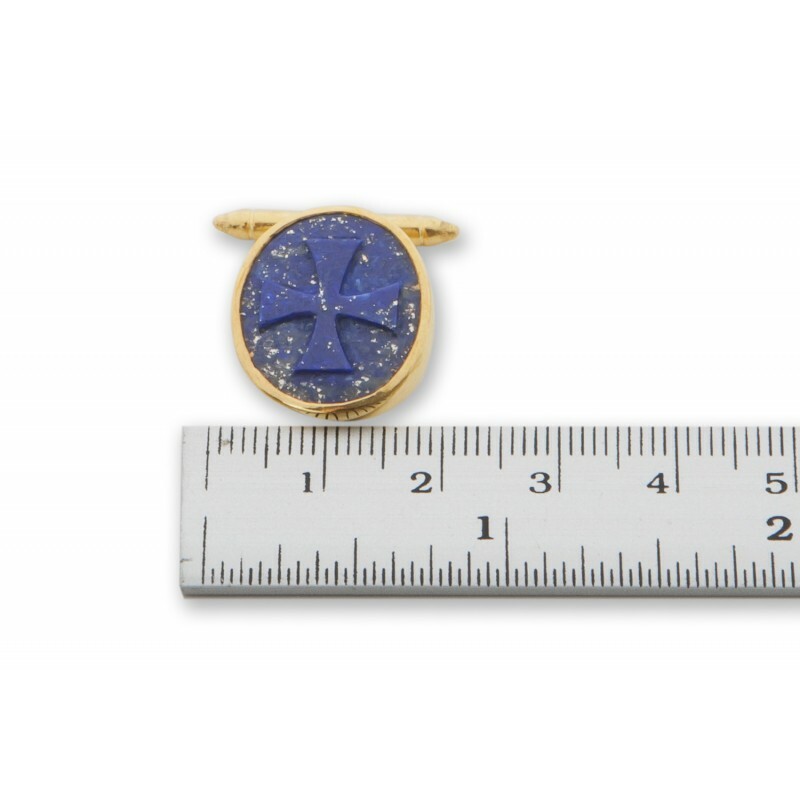 Each oval, measuring 18 x 16 mm. (11/16 x 5/8 inch) is set in gold plated sterling silver with chain and baton. 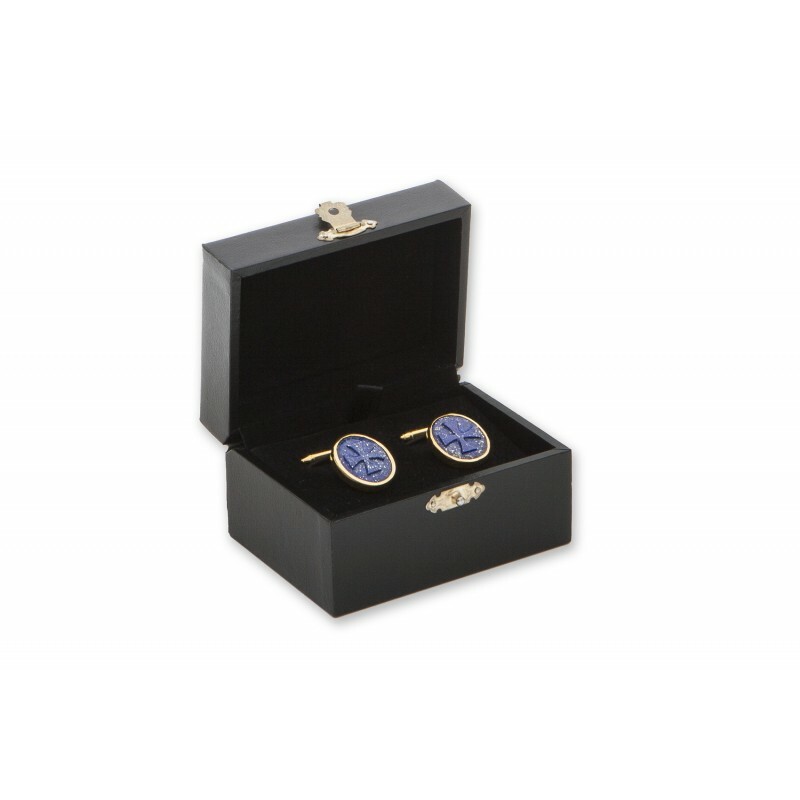 A high class top quality gift which will great credit to the giver and the wearer. 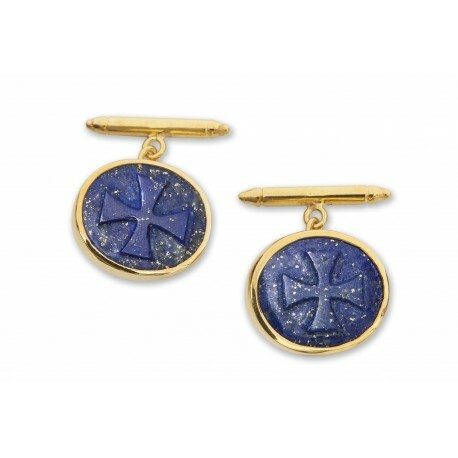 We do all the work in house which is why these high quality lapis Templar Cross cufflinks are such great value.